Surrounded by natural textures throughout, Marilyn Borglum’s The Call adds a dignified sense of strength and poise to this lush paneled alcove. 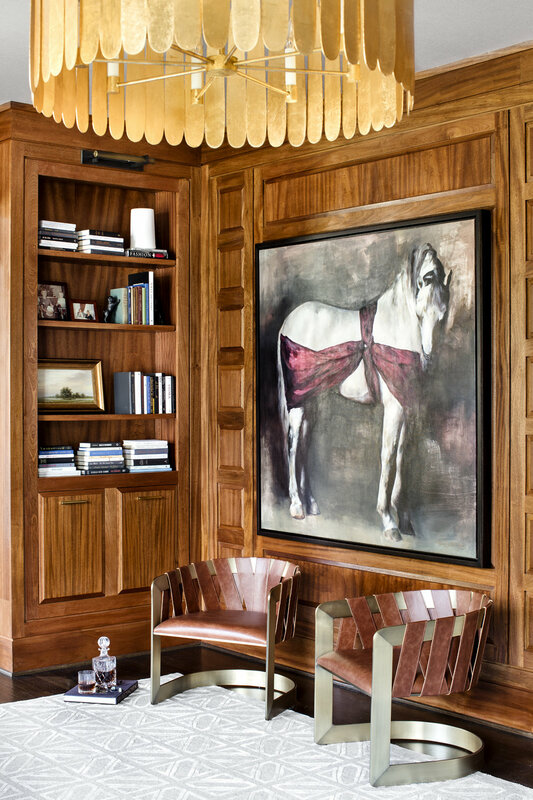 Details like custom woodwork and woven leather chairs give the room a seasoned character, while the work’s painterly layers heighten the depth and dimension of the space. To view Marilyn Borglum’s works in person, visit the gallery closest to you. Interior by Michelle Miller Interiors.